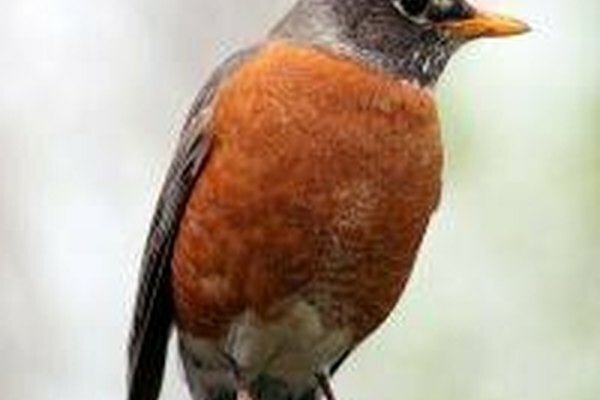 Robins are migratory birds. They travel long distances throughout the year and return each summer to the same breeding ground. The males return before the females, competing for the best nesting sites. By nature, robins tend to be monogamous, at least during each breeding season. That is, they will choose a mate each season and remain together until the following season. Since most robins do return to the same breeding ground each year, they might mate with the same partner for another season. The exception to this rule is if a female loses her mate, she will seek out a new one before the next breeding season. Robins have a courtship ritual that involves the male feeding the female. This ritual serves two main purposes. First, the female must gain weight to prepare her body for mating and incubating her eggs. If she had to continue to hunt, it would be difficult for her to gain enough weight. Second, the ritual helps strengthen the bond between the two, which helps them work together to maintain the proper environment in which to lay and incubate their eggs. Male robins will sing to advertise the fact that they're in search of a mate. Later, they will sing in an attempt to stake a claim on their nesting area. This happens shortly before the eggs hatch. Robins' nests are usually made from twigs, grass and mud. Sometimes you can find unusual items built into a nest, such as dryer lint or string. 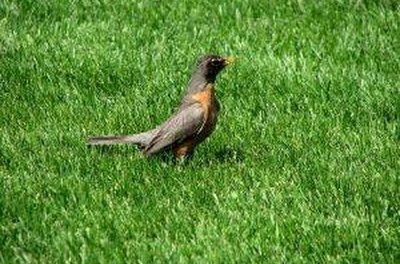 Nests are usually built between 5 and 20 feet from the ground, and each pair of robins can produce up to three broods per mating season. However, statistics show that only about 40 percent of pairs are able to successfully produce eggs in a given season. The mating process is called treading. This process is awkward and quick, making it unusual to actually see it happening. Once the eggs have been fertilized, the female will soon begin laying her eggs, one each morning. 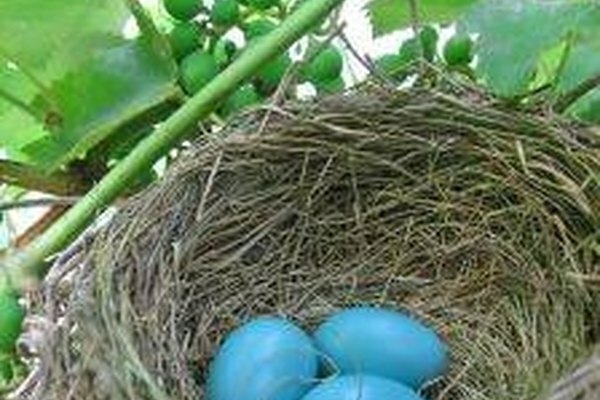 She will lay two to five blue eggs, which take around 14 days to hatch. 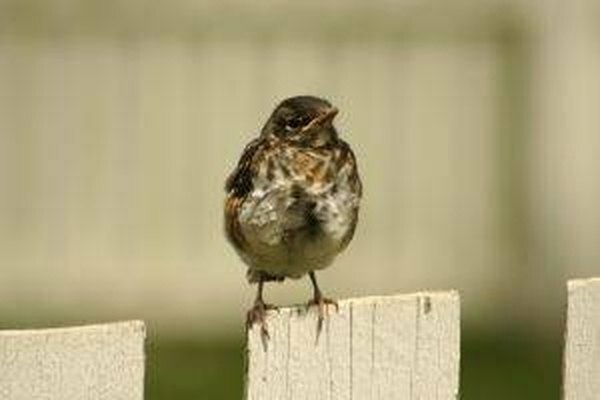 Only about 25 percent of robins will survive the mating season and live through November. Of these, about half will make it to the following year. Surviving for more than a year significantly increases the robin's life expectancy, though, as some may live as long as 14 years.